The club tournament has been moved to Saturday 11 August to ensure it does not clash with either school holidays or the Qld Open Selections for the national championships. Do you or your direct family own a business? If you do, then send me your business card via email and we will promote your business via our club website free of charge whilst you are a member of this club. Hi all, make sure you all go to our new club facebook page and like it via the link (top right) on this website. 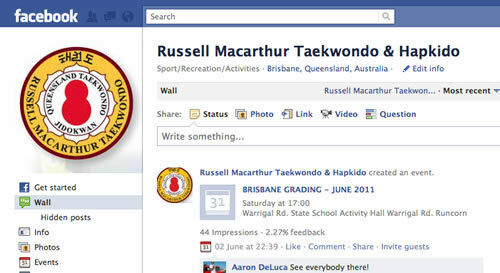 Keep updated with club events through Facebook and make sure you become a website member also so you can access our club member section of the site where you can access grading forms and other downloadables.